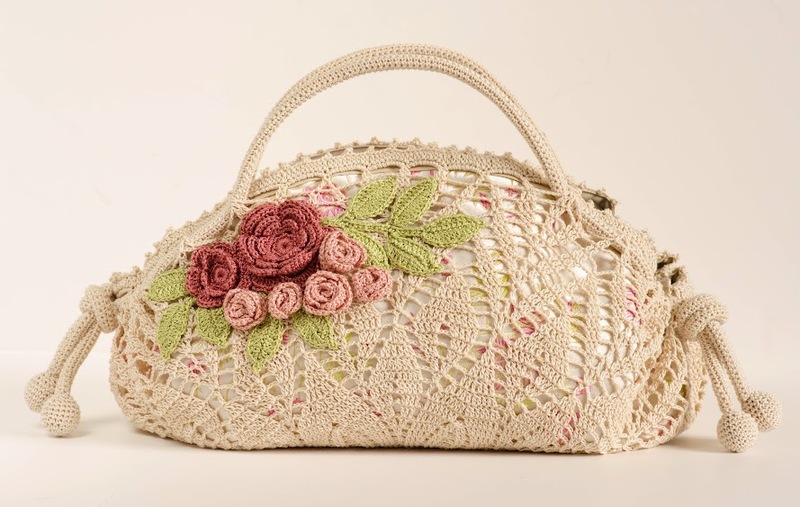 Romantic Doily Bag with roses. Pattern. This pattern is available in my Ravelry store now. Log in Ravelry to buy this pattern. Pattern includes charts, written instructions, pictures. It's not. But it's up to you to put a button or a magnet to keep it close. I love the design and quality finishing in the inside. Do you give instructions for interior finishing? Thank you. I'm buying the pattern but is everything included as is represented. And instructions for flowers of course, everything you see on the picture. There are complete instructions for every step. 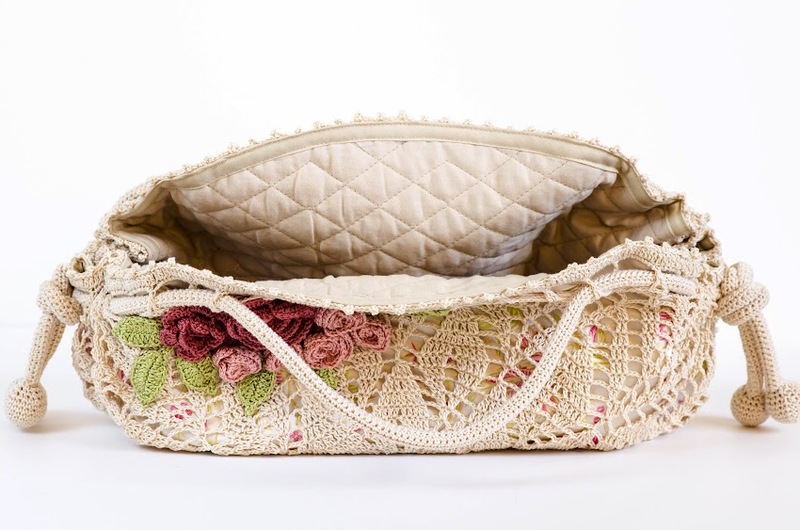 Quilted fabric is used for the inside. 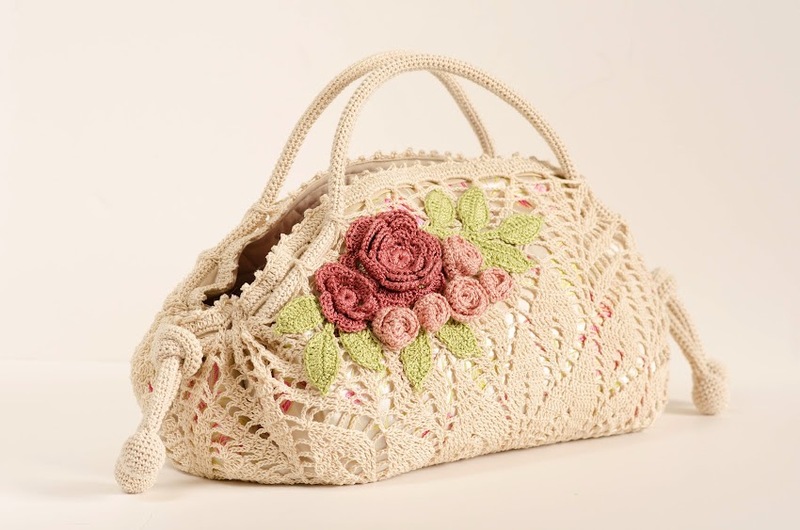 You'll find a diagram, written instructions for crocheteddoily and step pictures for finishing, sewing the inside of the bag. Hi! There are complete instructions for every step. 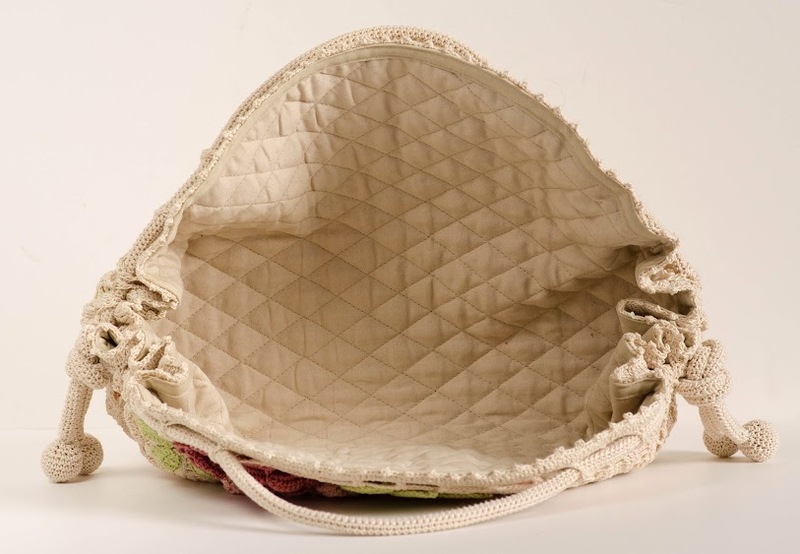 Quilted fabric is used for the inside. 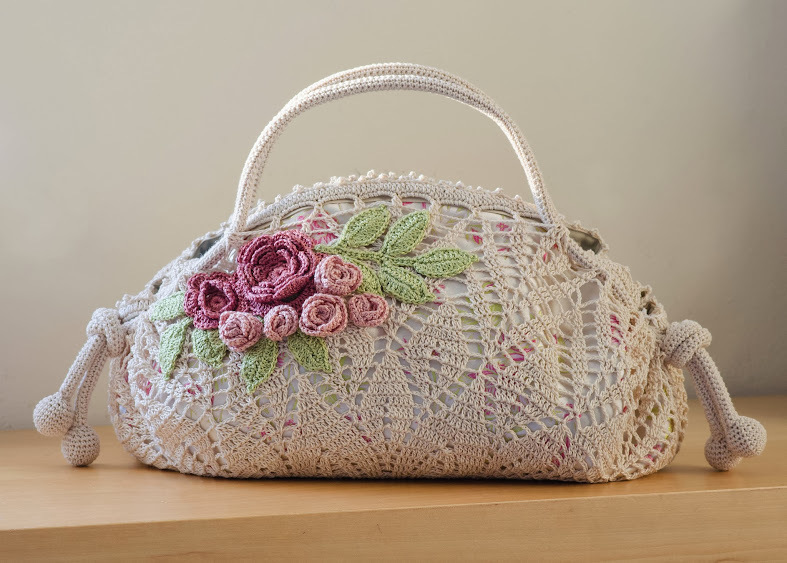 You'll find a diagram, written instructions for crocheteddoily and step pictures for finishing, sewing the inside of the bag.